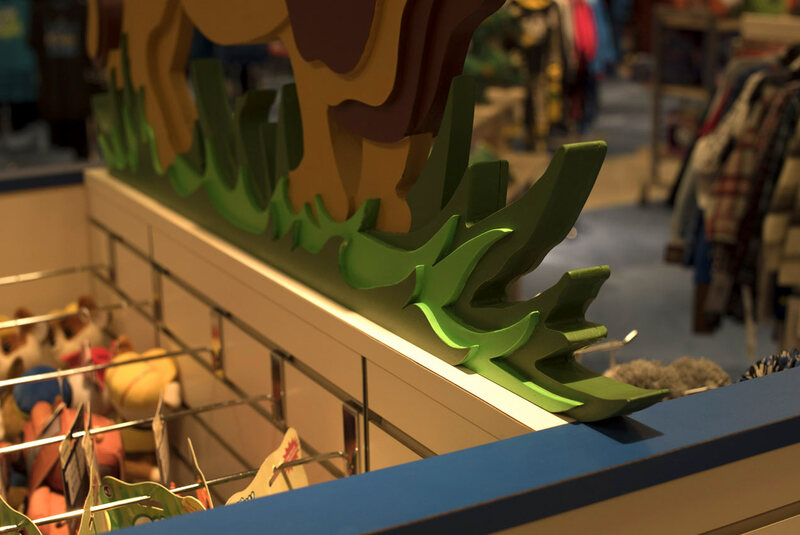 This customer wanted to add a pop of whimsy to this slatwall fixture in its children’s department. These custom-designed animals are built of layers of material and hand-painted to add depth and dimension to these colorful characters. 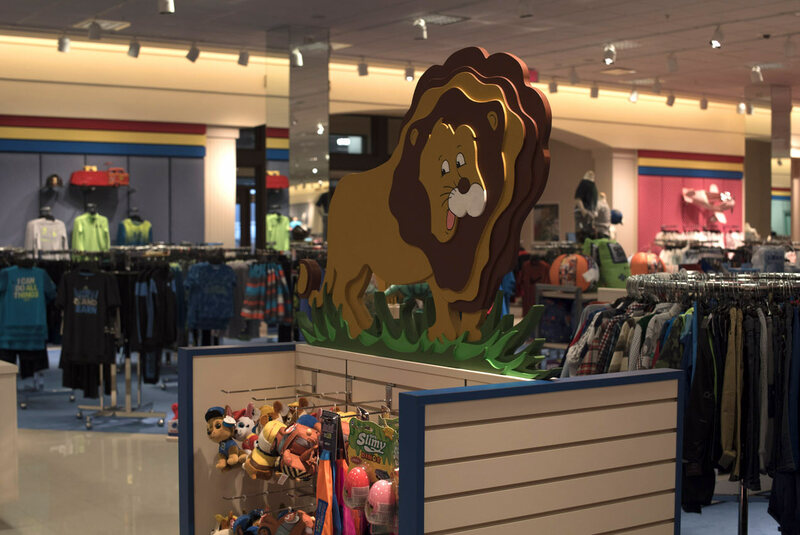 In addition to grabbing the attention of the store’s youngest consumers, the slatwalls can easily be configured to hang high quantities of quick-moving inventory. 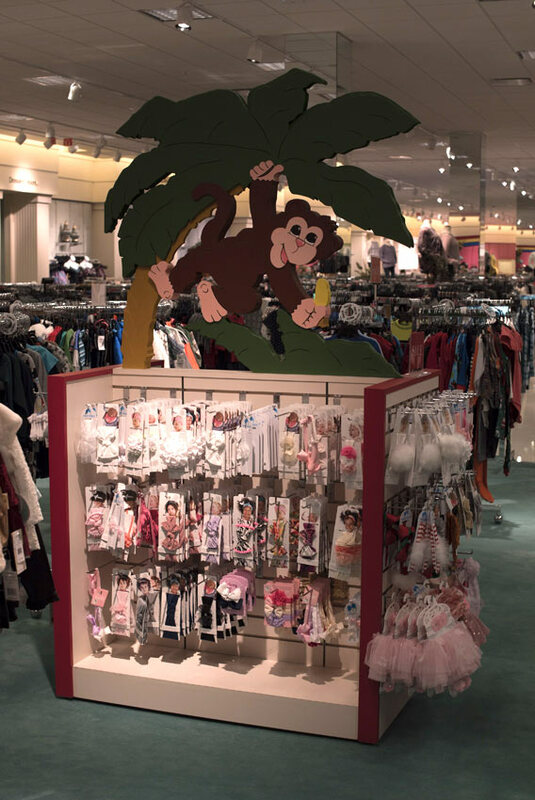 Schedule a call to learn more about how we can make your retail inspiration a reality.